China’s anti-corruption body announced a major probe in SOEs in the first half of 2015. China’s anti-corruption efforts haven’t missed a beat in 2015. In addition to an intense focus on China’s military, discipline inspectors (often called “graft-busters” by Chinese media) have another target in mind: China’s state-owned enterprises (SOEs). There’s good reason for SOE executives to be nervous about the probe. The CCDI covered 14 SOEs in its inspections in 2013 and 2014, investigations that “led to the fall of over 70 SOE executives,” according to Xinhua. Executives from Shenhua Group, an energy company, were accused of accepting bribes while officials from China Unicom came under fire for collusion with contractors and suppliers. As the results of CCDI’s earlier probes came to light, a CCDI official told Xinhua that “the amount of corruption detected among SOE executives during inspection has showed how rampant the problem is.” With the CCDI targeting nearly double the number of SOEs this time around (26 compared to 14), the tally of corrupt officials caught in CCDI nets should rise accordingly. For China’s leaders, SOEs are the great white whale of anti-corruption. The problem is endemic, as noted by Wang Qishan in his remarks, but difficult to weed out. Powerful interest groups are ensconced within China’s state-owned companies; the “cliques” Wang warned about in his remarks. High-ranking Party officials who formerly worked at major SOEs can create far-reaching patronage networks. Zhou Yongkang, formerly a member of the Politburo Standing Committee, for example, was the godfather of a “petroleum clique” thanks to his time spent at China National Petroleum Corp.
As Zhuang Deshui, who heads Peking University’s clean government research program, told Xinhua, “The key to the campaign lies in whether the ties between SOEs and officialdom can be severed and whether graft-busters are brave enough to hit the special interest groups.” The difficulty of the undertaking makes targeting SOEs is an important test case. If the CCDI can’t clean up corruption within the SOE sector it has virtually no chance to solve the problem on a Party-wide level, Xin Min of China’s Central Party School told Xinhua. There’s an added incentive for clearing out SOEs. SOE reform is crucial to pushing forward China’s economic rebalancing, and the very executives now under fire from the CCDI would be the most likely to stonewall reforms. SOE-based interest groups are powerful obstacles to reform; all the more reason for the current leadership to topple them as part of the anti-corruption drive. 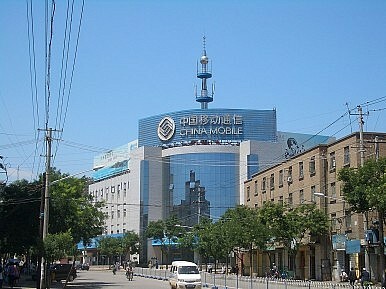 As Xinhua put it, “Corruption and abuse of power in SOEs have raised operating costs, impaired the openness of the market, caused huge loss of state assets, and hampered development of the firms.” In other words, SOEs in their current form are a drag on China’s economy – a particularly worrisome drag as overall economic growth slows down. Reforming the SOEs is high on Xi Jinping’s to-do list, but first he has to clear the way. By the end of 2015, the number of SOEs executives in a position to combat reform efforts will have dropped significantly, thanks to Wang Qishan and his graft-busters.